Right Med Bio System offers a uniquely broad range of diagnostic instruments.Our expertise in in vitro diagnostics is one of the most respected in hematology worldwide and contribute today to the health of tomorrow. These instruments are manufactured from cutting-edge technology as per the set industry norms. The entire collection is precisely designed and is acknowledged for perfect finish and clinical accuracy. Regardless of your throughput requirements, we can help you manage lab operations more efficiently and cost-effectively. Our product range includes Semi Auto Analysers, Urine Analysers , Hematology Analysers etc. Sample material: Capillary, venous or arterial whole blood. Measurement range: 0-25.6 g/dL Results: In about 60 seconds. Sample volume: 10 µL. Weight: 350 g (0.77 pounds) with batteries installed. Power: AC Adapter or batteries. Operating temperature: 15-30 °C (59-86 °F). Interface: Printer and PC Quality control: Built-in “selftest” and liquid controls. Calibration: The analyzers are calibrated at the factory against the ICSH reference method and needs no further calibration. 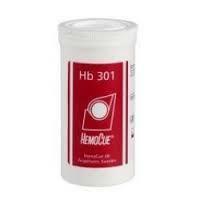 Storage for HemoCue® Hb 201 Analyzer: The analyzer can be stored at temperature 0-50 °C (32-122 °F). Storage for container packaged HemoCue® Hb 201 Microcuvettes: The microcuvettes are to be stored at 15-30 °C (59-86 °F) in a dry place. Use the Microcuvettes prior to their expiry date. Once the container is opened the microcuvettes are stable for three months. Always keep the container closed. Storage for individual packaged HemoCue®strong> Hb 201 Microcuvettes: The microcuvettes are to be stored at 15-30 °C (59-86 °F) in a dry place. Use the Microcuvettes prior to their expiry date. The expiry date is printed on each container as well as on each individual package. Method: Vanzetti, G. An azidemethemoglobin method for hemoglobin determination in blood. J. Lab. Clin. Med. 67, 116-26 (1966). Principle: The reaction in the cuvette is a modified azidemethemoglobin reaction. The erythrocyte membranes are disintegrated by sodium deoxycholate, releasing the hemoglobin. Sodium nitrite converts the hemoglobin iron from the ferrous to the ferric state to form methemoglobin, which then combines with azide to form azidmethemoglobin. The photometer uses a double wavelength measuring method, 570 nm and 880 nm, for compensation of turbidity. We offer 5 Part ABX Pentra 60 Hematology analysers from Horiba Medical. Perfect homogenization of blood samples with reagents. 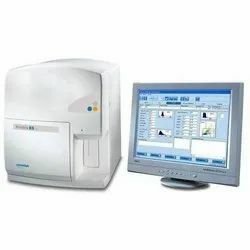 We are a renowned name, which is engaged in offering Mindray Cell Counter.Mindray Auto Hematology Analyzer BC 2800 is a automated hematology analyzer designed for in vitro diagnostics use in blood cell counting and characterisation. This easy to use instrument is ideal for clinical laboratories. 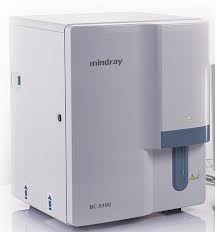 The salient features of the Mindray Auto Hematology Analyser BC 2800 is as follows 1. Fully Automated instrument. 2. Compact, Flexible. 3. High Performance to price ratio. 4. Large Colour LCD Display. (Resolution: 640x480). 5. 3 Part differentiation of WBC, 19 parameters + 3 histograms. 6. Thoughput : 30 samples per hour. 7. Up to 1000 samples results (including histograms can be stored. 8. Cyanide free HGB analysis method. 9. 3 counting models: All Parameters, WBC/HGB,RBC/PLT. 10. Build in Thermal Printer. 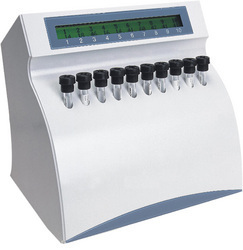 • A range of graph displays such as enqymatic reaction curve,calibration curve etc. • Bulit - in thermal printer that generates sophisticated graph display of test results. • Built in RS 232 interface. • Peltier controlled user programmable temperature settings. • End point with Standard,Factor, Sample blank and Differential. • Two point (fixed time ) and Multi point kinetics. • Multi standard calibration upto 10 standards. • Mono or Bichromatic Readings. The new BC-5300 Auto Hematology Analyzer is a bench-top system, combining state-of-the-art technologies to provide reliable and accurate five-part hematology results from just 20µl of blood. The Windows-based software also provides many advanced features to enhance lab efficiency. BC-5300 requires zero daily maintenance and is equipped with an automatic cleaning set-up to make daily use as easy as possible. 1. 5 part differentiation,27 parameter,1scattergram and 3 histograms. 2. Semi conductor laser scatter combined with Chemical Dye Method,Advance Flow Cytometry. 3. Compact , powerful and affordable. 4. Only 20µl sample volume. 5. Upto 60 samples per hour. 6. 2 counting modes:Whole Blood and Prediluted. 7. Capacity to flag abnormal samples. 8. Large storage capacity: up to 40,000 samples. The NycoCard HbA1c test is a 3 minute Point of Care test for the measurement of glycated hemoglobin. NycoCard HbA1c provides an accurate and reliable method to monitor metabolic control in people with diabetes. • Reports DCCT aligned values. 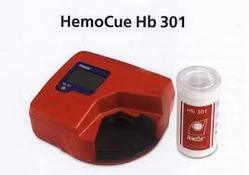 Accurate POC Anemia Screening From the Pioneers Optimized for anemia screening in primary care and blood donation settings, the HemoCue Hb 301 System is a simple and convenient solution. The HemoCue Hb 301 System provides quick, easy access to lab-quality results without compromising accuracy, even in demanding climates with high temperatures and humidity. With dedicated support and service as well as unmatched training and education based on over 30 years of experience, you can count on HemoCue for the right solutions for all your needs. 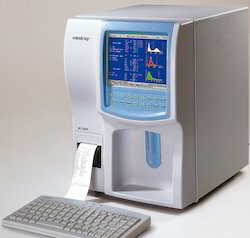 ESR Analyser ESR 2010 Automated Erythrocyte Sedimentation Rate Analyzer ESR 2010 is based on modified Westergren method. 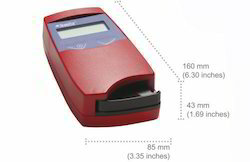 The Nyco Card ReaderII is a small battery powered instrument, designed to measure all Nyco Card products. It consists of two units: the instrument box, which is the operational and calculating unit, and the Reader pen, which detects the signal. Each NycoCard test comprises a unique Test Device where the test is performed. The device has a central well for sample and reagent application, which is shaped to fit the Reader pen. When the pen is placed over the sample and the pen sleeve is pushed down, the measurement starts automatically and the test result appears on the display.